The 370 Series modular stack light has a 70mm diameter (2.75″) combined with ultra-bright LED lamps, making this light visible from distance even in direct sunlight. The modular system allows for nearly limitless combination of light and audible units stacked. Gentle pressure with a simple twist allows you to mount or un-mount the lamps from each other, making re-configuration a snap. Anti-tampering assembly is also available, which requires tools for disassembly. A single lamp can provide a steady on, flashing or rotating effect, or choose a more economical single function lamp. 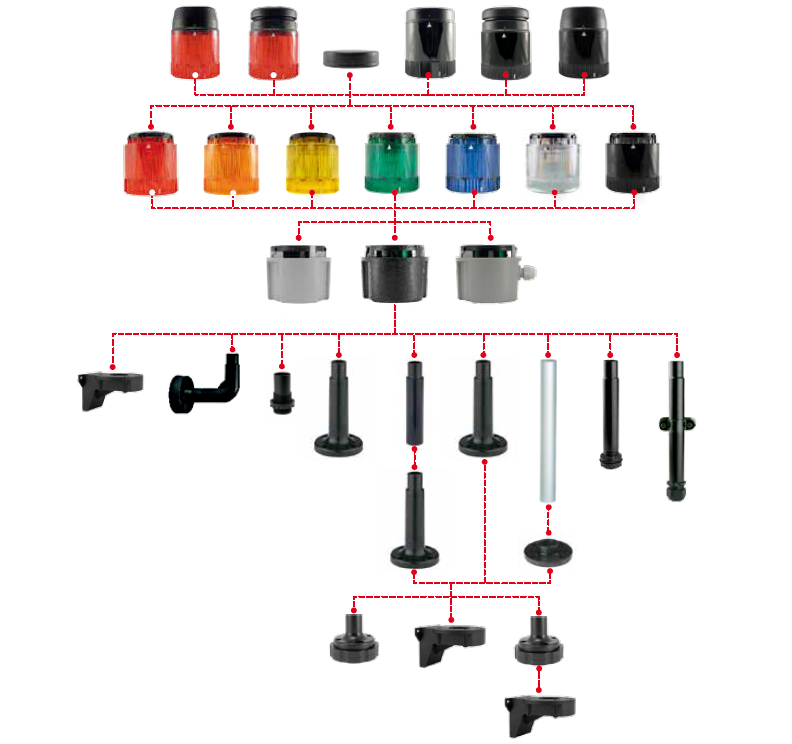 Create your own combination by selecting a cap, base, and up to 7 light or audible units. A variety of mounting options are available including panel mount, wall mount, and pole mount. Contact Springer Controls and tell us your requirements and we’ll help configure a light for you. 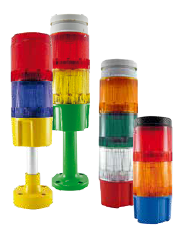 Standard available lamp colors: Red, Amber, Yellow, Green, Blue, White – Custom colors also! Standard housing colors: Black & Gray – custom colors available! Contact us to configure your modular signaling system!